With the Philippines’ population projected to reach the 100 million mark this year (Source: Philippine Statistics Authority), it’s quite fascinating to know that there are still places in the country that remain uninhabited–or nearly uninhabited. Today, they are now considered as monuments of history and mementos of people who saw the glorious years of their respective era. 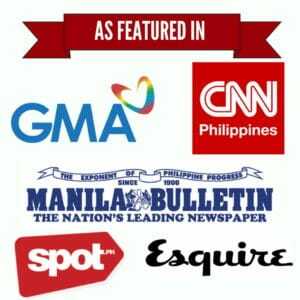 In this list, we will explore some of the Philippines’ most hauntingly beautiful ghost towns and abandoned buildings. Get ready to be fascinated. 1. Compañia Maritima (Cebu City). 2. The Ruins (Talisay City, Negros Occidental). 3. 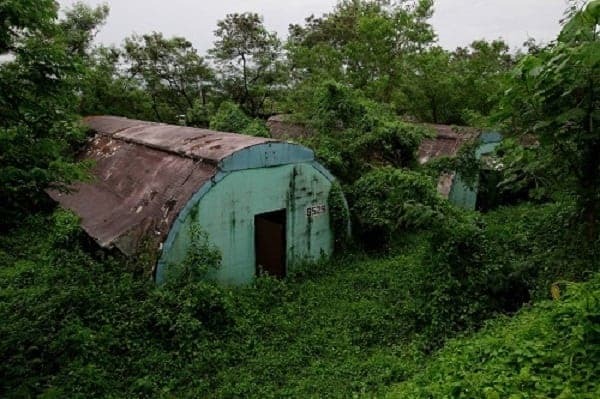 Quonset Huts (Subic, Zambales). 4. Aduana Building (Intramuros, Manila). 5. Sitio Song Song (Uyugan, Batanes). 6. Paco Train Station (Paco, Manila). 7. St. James College of Calamba (Calamba City, Laguna). 8. The Old Herrera Mansion (Tiaong, Quezon). Standing on a 42,000-square meter property behind the Cebu City Hall, Compañia Maritima is now at the center of a legal battle between the national and the city government who are both fighting for its ownership. 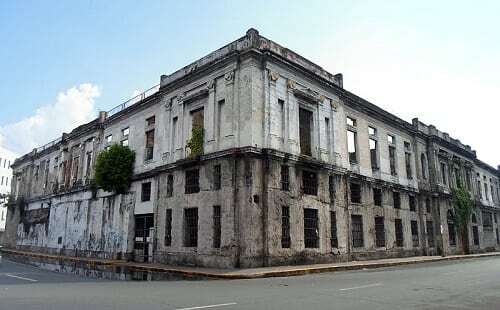 Controversies aside, the abandoned building is one of the underrated symbols of Cebu’s rich heritage. Facing the South Road Properties (SRP), the imposing structure was built in 1910. It was known then as the Fernandez Building, named after the company who owned it–Fernandez Hermanos Inc. In her book “Glimpses of Old Cebu: Images of the Colonial Era,” author Lucy Urgello Miller said that the building was occupied by Shamrock Hotel in the 1930s, as evidenced by the postcard below that has survived the ravages of time. Shamrock Hotel postcard. Photo Credit: Lucy Urgello Miller collection. WWII was not kind to Fernandez Building: Bombs and enemy fires destroyed its roof and internal structure. 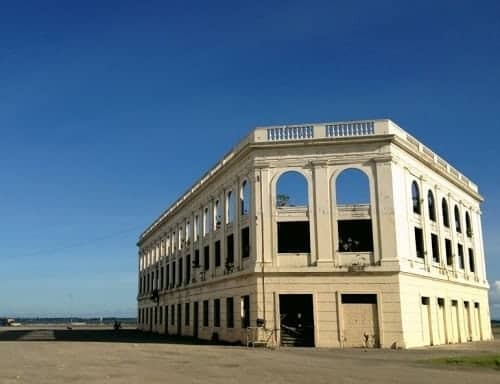 The post-war era, however, saw the building being repaired and then occupied by Compañia Maritima, one of Cebu City’s biggest shipping lines and from which the building got its present name. As fate would have it, the company filed for bankruptcy in the late 1980s, and the building has been abandoned since. Today, the three-story Compañia Maritima is still surviving; it’s arched windows and balusters at the roof deck serving as silent witnesses to the interesting history of this architectural marvel. Before it was opened to the public in 2008, The Ruins in Talisay City was an abandoned ancestral house only few would dare visit. 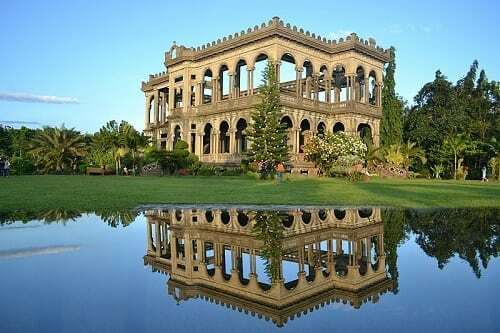 Now dubbed as the “Taj Mahal of Negros,” this iconic landmark built in the middle of a sugar plantation is no longer insignificant: Tourists have been captivated not only by the structure’s Italianate architecture but also by the tragic love story that gave birth to it. Just like its counterpart in India, The Ruins in Talisay City was also built by a distraught man who lost his lady love. 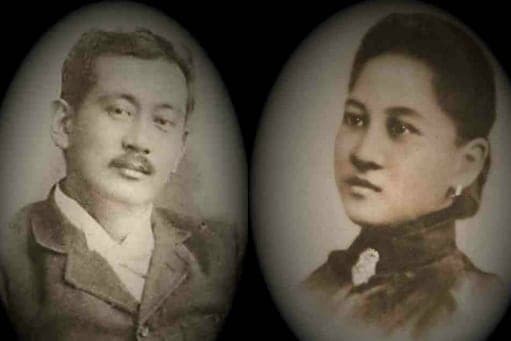 Don Mariano Ledesma Lacson (1865-1948), a Negrense sugar baron, was grief-stricken when his first wife died while pregnant with their 11th child. Doña Maria Braga, a Portuguese lady whom Lacson first met while traveling in Hongkong, accidentally slipped in a bathroom and bled profusely. It took a while before the doctor from another town arrived, and before he did, Braga and the baby had passed away already. Such was Lacson’s love for his departed wife that he commissioned several workers to build a grand mansion in her honor. During WWII, however, Lacson sought the help of Filipino guerrillas in deliberately burning the mansion lest the Japanese would turn it into their headquarters. Lacson was eventually remarried to Concepcion Diaz of Talisay, while his 400-hectare land was divided among his 10 children. Merced Lacson–who would marry Manuel Javellana of Jaro, Iloilo–inherited the land where The Ruins is now standing. Although the Lacson mansion today is basically a skeleton of the original, it never fails to impress local and foreign tourists–so much so that it has been considered as one of the world’s most fascinating ruins. In this Oct. 18, 2014, photo, a row of concrete structures called “Quonset huts” lie inside the Subic Bay Freeport Zone, Zambales province, northern Philippines. Photo Credit: Aaron Favila/The Associated Press. Quonset huts are semi-cylindrical structures built to house troops and military surplus. The design of American Quonset huts was based on the smaller Nissen huts used during the First World War. In the Philippines, the same structures populated the former US Navy base inside the Subic Bay Freeport Zone in Zambales. These Quonset huts were used as barracks for US Marines and have survived various calamities, among them the cataclysmic eruption of the Mt. Pinatubo in 1991. 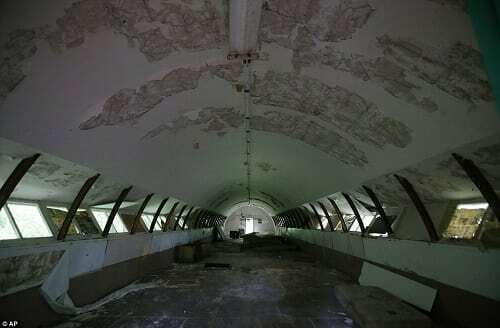 The interior of concrete structures called ‘Quonset huts’ crumble inside the Subic Bay Freeport Zone, Zambales province, northern Philippines. Photo Credit: The Associated Press. 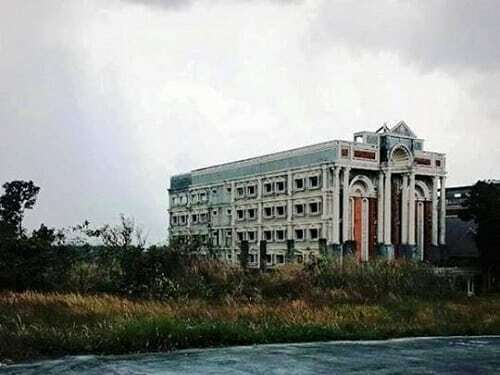 Unfortunately, in 1992, the Philippine Senate agreed not to extend the lease on the facility, which led to the closure of the American naval base. Since then, some of the Quonset huts have been transformed into offices and restaurants. The unfortunate ones met the wrecking ball and were subsequently replaced by new buildings. Interestingly, few of these Quonset huts remain today, some of which are abandoned and have not been inhabited since the Americans left the place many years ago. Aduana Building in Intramuros facing Muralla Street and Magallanes Drive. Source: Wikimedia Commons. The original building was completed in the 1820s, but serious damages brought by an 1863 earthquake led to its demolition in 1872. 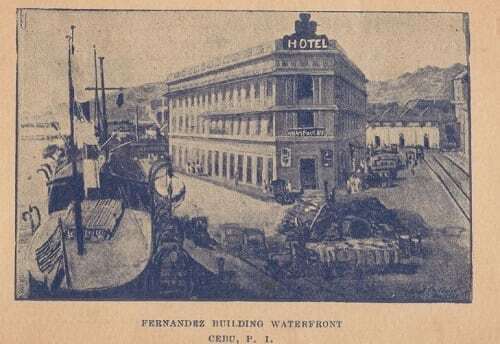 A new building was constructed shortly thereafter, and it housed different offices of the Spanish colonial government: Treasury, the Casa de Moneda (Mint), the Customs, and the Intendencia General de Hacienda (Central Administration). The Customs offices were later transferred to the port area, leaving the building to the Treasury and Intendencia. 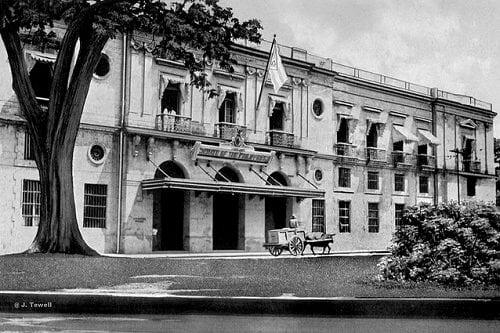 Intendencia Building (Aduana Building), Intramuros, Manila, Philippines unknown date. In the Nick Joaquin book “The Aquinos of Tarlac,” it was mentioned that the National Assembly, under Speaker Sergio Osmena, Sr., was officially located in the Marble Hall of the Ayuntamiento de Manila while the Senate, under Manuel L. Quezon, was located in the less prestigious Intendencia Bulding. Photo Credit: John Tewell via Flickr. Heavily damaged during WWII, the building was rehabilitated and soon occupied by the Central Bank Building, followed by the National Treasury, and finally, by the Commission on Elections. 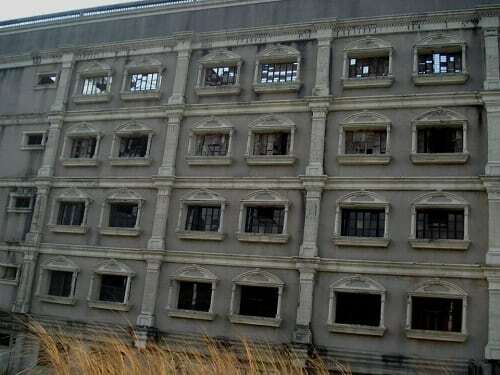 In 1979, a huge fire razed Aduana and it has been abandoned since. The two-story building of Neo-Classical architecture is now being eyed as the future office of the National Archives. Situated 23 kilometers from Basco, Batanes is a “ghost barangay” known to the locals as Sitio Song Song. 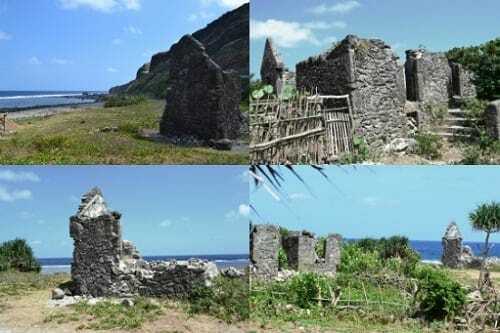 The abandoned village is actually part of the Uyugan municipality in Batan, one of the major islands of the province. Ruins of Song Song. Photo courtesy of the author. The small settlement was a mere cluster of stone houses (think traditional Ivatan bahay na bato) that were unfortunately devastated by a tsunami between 1953 and 1954. 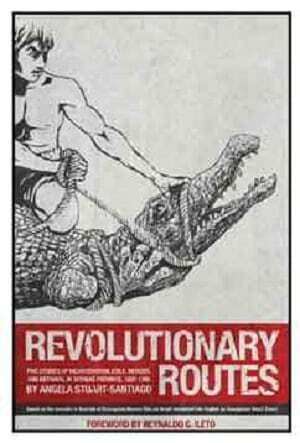 The Magsaysay government came to the rescue and put the villagers under its resettlement program. Most, if not all, of the residents eventually settled in Mindanao, and Sitio Song Song was literally abandoned for decades. Although some Ivatans have re-inhabited the area in recent years, they are few and far between. 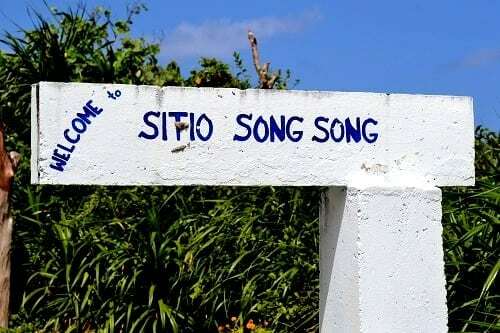 Sitio Song Song remains a peaceful area visited by tourists who want a glimpse of its fascinating ruins. Designed by prominent American architect William Parsons, the Philippine National Railway Paco Station is said to be reminiscent of New York City’s Pennsylvania Station. 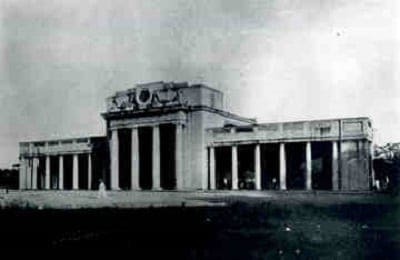 The Paco railroad station was established on March 25, 1908, coinciding with the opening of the railroad line from Paco to Binakayan, Cavite and the Manila Belt Line from Tutuban to Paco (the Paco-Muntinlupa line would be inaugurated three months later). 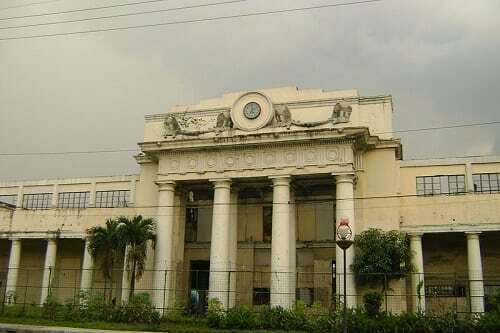 The now-abandoned Paco Train Station Building, on the other hand, was completed in 1915. It predates the construction of other important Manila landmarks such as the Metropolitan Theater, Manila Post Office, and the present-day Manila City Hall. Paco Train Station, circa 1920. Photo Credit: Filipinas Heritage Library. In the Second World War, the Paco Railroad Station was the backdrop of a destructive battle; the recapture of the station marked the defeat of the remaining Japanese forces in the city. Fast forward to the 1990s, the building was nearly demolished to give way to a new mall. Fortunately, it didn’t push through, and advocates have since fought for its preservation. Standing along the highway leading towards Batangas, this abandoned building is an eerie reminder that schools, just like ordinary businesses, aren’t immune to bankruptcy. St. James College of Calamba opened in 1997 offering courses in pre-school, elementary, and high school. It also had courses in the collegiate level, and its first batch of college students graduated in 2000. The school was actually part of the St. James College System, its first and original branch being the Quezon City campus founded in 1971 by businessman Jaime Torre and his wife, Myrna Montealegre. During the late 1990s, business was doing well for St. James, with new branches established in Sta. Mesa Heights, New Manila, Parañaque, and, lastly, Calamba. In 2005, however, the Bureau of Internal Revenue (BIR) filed tax evasion charges against Jaime Torres for failing to remit taxes amounting to over 48 million pesos from 2000 to 2001. And it all went downhill from there. This imposing stone mansion is considered as the oldest house in Tiaong. By the look of its broken windows and dilapidated rooms, it’s obvious that this structure has seen better days. Built sometime in the late 1920s, it was owned by Isidro Herrera and designed by the renowned architect of his time, Tomas Mapua. The house survived WWII, but not unscathed: Its back part was damaged by bombings and subsequently rehabilitated by an architect from Candelaria by the name of C. Gonzales. 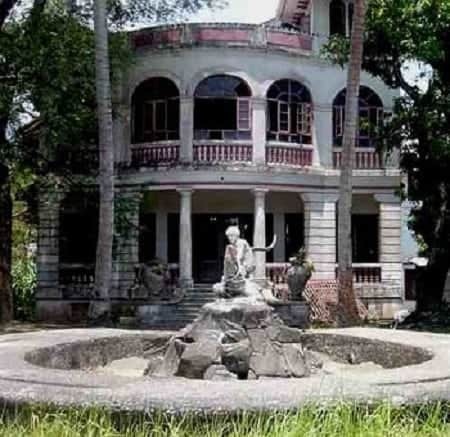 Today, the decaying mansion stands as a monument of a bygone era; its eye-catching garden sculpture of Elias conquering a crocodile serving as a stark reminder of its colonial past. Noli me tangere’s Elias subduing the crocodile in the garden of Isidro and Juliana Herrera’s Tiaong mansion designed by Tomas Mapua. As for the old mansion, many locals have attested that it’s now haunted by ghosts ranging from headless Japanese soldiers to elderly couple garbed in white. Javellana, R. (2003). In and Around Intramuros (p. 66). 12th Degree Latitude Books. Miller, L. (2010). Glimpses of old Cebu : images of the colonial era. Cebu City: University of San Carlos Press.